Satirical News: Shippaiman Episode 13 "Bureau Of Crackpots" Angers Alberto Looney! 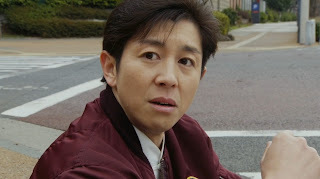 Tetsuo Morishita who previously played Dr. Hinelar now appears as Akio Royama the head of the Japanese Bureau of Customs. In this episode, it's revealed that a lot of Japanese people forced to labor in other countries due to Prime Minister Nobita's economic restrictions saying that "it will lead Japan to its golden age". As many Overseas Japanese Workers arrive from the U.S., China, South Korea and Singapore, Akio was harassing them demanding exorbitant fees while Chinese crooks are now given their privilege to enter their dangerous inventory without question. The Winsbraindraft team have been alarmed by a number of illegal Chinese staying in Japan. 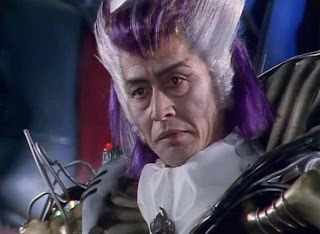 Keiichi Wada plays as an unnamed Chinese drug lord only known as Long (Dragon). The episode also shows how Shippaiman and Noopaiwoman intend to "arrest" Long to make themselves look good. The Winsbraindraft team suspect that Long himself has been bribing Akio considering that 5,000,000 kgs of shabu have made it into Japan. Thanks to Jules' intelligent research, she's able to find out that Long himself made transactions with Akio and so are other Chinese crooks. They called the Chinese embassy so they can deport these criminals. Troy also discovered a new cigarette brand called Marbobo which claimed to be an "all natural high special tobacco". It's revealed that Shippaiman has been helping people get drugs from Long himself. Both Takeru and Jules prepare to arrest Long himself. Gregory starts a raid finding out that Shippaiman and Noopaiwoman have been introducing a new cigarette brand called Marbobo which contained opium and weed in it. The youths were apprehended for rehabilitation while Takeru and Jules arrest Long and his group. Some time later, it's implied Long and his subordinates were given the firing squad treatment. China's government also sent a warrant of arrest for both Shippaiman and Noopaiwoman. With this case, Shippaiman and Noopaiwoman are chased by angry Japanese parents when they discover the two have been influencing children to smoke Marbobo cigarettes. Takeru and Jules begin a rehabilitation program where the Zyuohger cast (but not appearing as their Zyuohger characters) teach the children to dance the Zyuoh Dance and tell them that drugs can destroy their future.